One of the most important parts of getting back to nature is the ability to live in tune with the seasons. Before heating and air conditioning, refrigeration or just plain electricity and all that has become possible because of it, our ancestors had no choice but to live as the seasons dictated. Their food, exercise, rest, dress, personal hygiene and more were all dependent upon what the weather would allow. Of course, we’re not advocating bathing only in summer, but there are aspects of the seasons that can add a lot to your healthy lifestyle. Here are some thoughts on living with the seasons that we thought might be useful to you. Fruits and vegetables that are in season are generally tastier and more nutritious than their counterparts that are shipped from other parts of the world whose seasons are different from ours. Here in Long Island, we are blessed to have all of the conveniences of a major city just a railroad or car ride away, while also having farms and vineyards close by in the opposite direction. There are a multitude of CSA’s, farmers markets and farmstands where you can buy Long Island grown produce throughout the summer and fall. Local produce is generally picked closer to ripeness because it doesn’t need to travel far or keep as long, so they are more flavorful. Because they spend less time in transit and storage, they are less likely to lose nutrients that degrade over time. Even if the thing you’re looking for isn’t available from a Long Island farm, there are so many crops that grow in New York and New Jersey that there are loads of seasonal choices that are also local including; strawberries, blueberries, blackberries, raspberries, cherries, peaches, apricots, plums, pears, apples, beans, corn, broccoli, cauliflower, peppers, tomatoes, eggplant and a wide variety of squashes, greens and root vegetables, among others. The east end also has farms that raise animals so you can get free-range or grass-fed, meat, egggs and dairy products. Some of the farms are certified organic, but even if they are not, small family-run farms tend to use a lot less pesticides than the factory farms that provide products to the big distributors. Local foods are also good for the environment. Reduced transit requirements result in less energy used and emissions produced, so the slightly higher price you might pay for local food is an investment in the future of the planet. More specifically, it is an investment in the future of Long Island. If we dont support the remainng farmers, eventually, those farms will become housing and malls resulting in the loss of country character and an increase in crowding, traffic and demand on resources. What you choose to eat impacts much more than just your waistline. If you are an avid exerciser, you probably don’t need to be told to take advantage of the favorable weather in the warmer seasons, but it can make a big difference to people who are just starting to exercise. Of course, you need to take common sense precautions: don’t exercise outdoors on extremely hot days or in the peak heat of the early afternoon, stay well hydrated, don’t exercise outdoors when there is a risk of lightning, protect your skin from the sun and mosquitos and don’t swim where there is an increased risk of drowning. 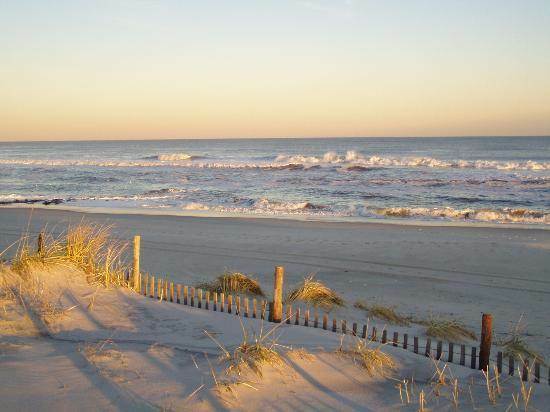 All that being said, swimming may be inaccessible during the colder months, but Long Island is surrounded by beaches and dotted with public pools. Swimming and other water exercise is gentle on the joints and a great way to start or expand your fitness program. The simplest, least equipment-dependent form of exercise is walking, and cooler summer mornings or evenings are a great time to do it. Hiking, water sports and other sporting activities are more readily available in summer. Take advantage according to your fitness and interest level. Play beach volleyball, paddle a kayak or participate in a host of other outdoor activities. If yoga is your thing, consider doing it outdoors in the morning, when your sun salutation will be more than just words. In short, enjoy what the summer offers. It will be gone all too soon. As is true all year round, if you are finding that your range of motion is limited, you’re trying to work through pain or you’re injured during exercise (or just daily life activities), come in to see us in our Wantagh office. We can get you moving again without drugs or surgery through Chiropractic manipulation of your spine and joints.